Not long ago Rena of Home Jewelry Business Success Tips asked me to write about a unique way to bring in business. I suggested an Earring Lunch, which involves a quick trip to a business or doctor's office during their lunch time and bringing baskets of earrings for the ladies to peruse. It's a quick way to get your most affordable jewelry in front of customers. It takes a minimum of set up and time, and is a great way to get your web site and blog information to a captive audience. I created this postcard and had it printed via VistaPrint. 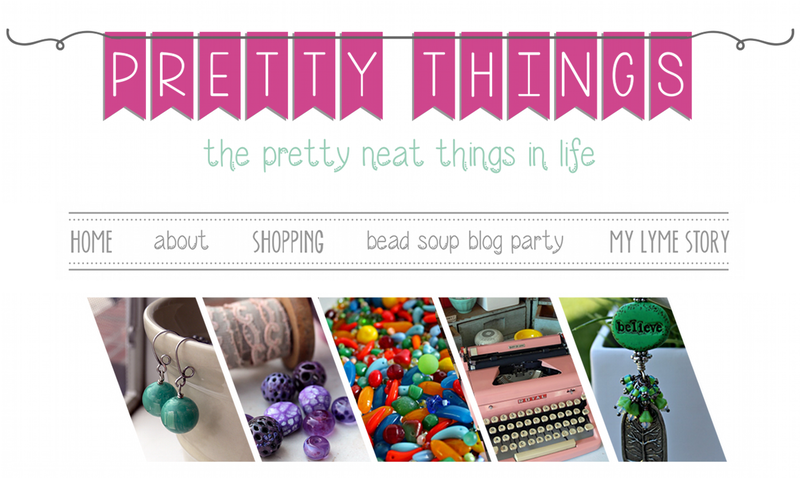 I think it's important to show a variety of earrings in different styles and price ranges. The earrings on my postcard range from $10 to $38, and are made with everything from handmade polymer clay, lampwork glass, and simple Czech glass and vintage Lucite. I also carry a small tool kit so I can change out ear wires to lever backs, posts, or clips right there at the office. Be sure to include your web site and a return address. Give them a way to contact you and consider framing your information in bold face, as I did above. And of course, leave plenty of room for you to write an address down! I've developed similar cards for people over time and if you would like me to create a postcard for you to upload to VistaPrint for $25, feel free to contact me! 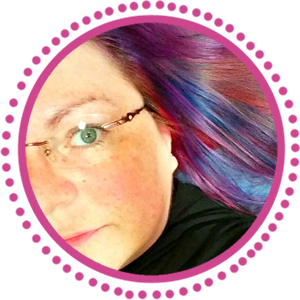 I hope this has given some of you a new idea on how to promote yourself! Go get 'em! Don't forget to comment and win a handmade photo journaling album! What an absolutely incredible idea Lori - are you the master of marketing or what! Love it and thank you so much for sharing. I remember reading that post about hosting an earring lunch. That is one of the things I want to try this year. I live in a small town with next to nothing in the way of businesses, so I'll have to travel a bit to do these. I think this is a great idea and a good way to attract new customers! I so love this idea! 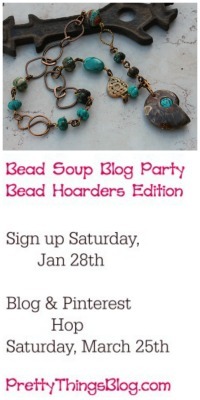 I have been invited by a group of ladies that work at a credit union to have a jewelry event during their lunch hour. This might be the perfect way to do it. You are always thinking so creatively. Thanks, Lori. Wow, that's a really clever idea! That's a great and very innovative idea Lori! That is a great marketing idea. And with the card you created, it looks so professional. What a great idea! IThank you so much for sharing it. I also read somewhere about friends that did something along those lines, except they set up to sell in the upstairs meeting room of a successful coffee shop. The management let them put an easel and poster that said "Jewelry Sale Upstairs" advertising it. Fabulous idea! Of course, you're full of fabulous ideas - and thanks for sharing! I love this. What a great idea. Thanks for the idea. What a great idea Lori, I have heard of something similar before, it wouldn't work here though employers would have a fit lol, even home parties don't work no one comes! This not only a very clever idea it seems like it would be a lot of fun as well. What a great idea! Love the card - looks fantastic. Thanks for sharing and for all your inspiration :) Have a wonderful day! A wonderful idea. Beautiful earrings in the picture. Need to be careful not to eat these beautiful earrings:). Amazing idea Lori! Don't forget the hair stylist shops! Have a great Sunday. I love your profile pic you look gorgeous. 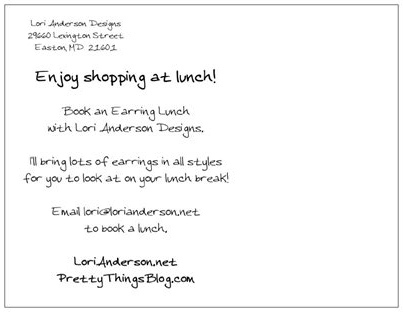 I love earring lunches! They were super popular for me! Like everyone else said, great idea! I particularly like the simplification of just bringing earrings. Cleverest idea I have seen all month, I love it. What an incredibly cool idea. You always, always inspire me. That is really clever. Lori, that is a great idea! Thanks for sharing it. There are few shows in my hometown area and I think this would be a great way to develop my local customer base. What a great idea. Thanks !! What a wonderful idea and way of marketing your designs! The cards you created are fabulous! Thanks for sharing your information and tips - they're always so informative! Love this idea and to think my mother is a receptionist in a dentist office..... duh, why didn't I think of this. I love this idea! 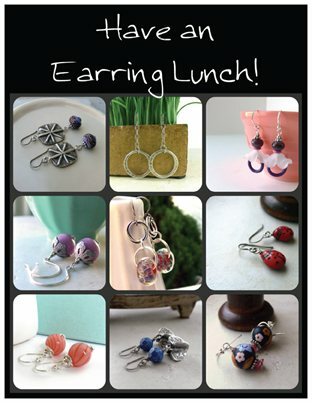 An earring lunch - terrific. I really like this idea! 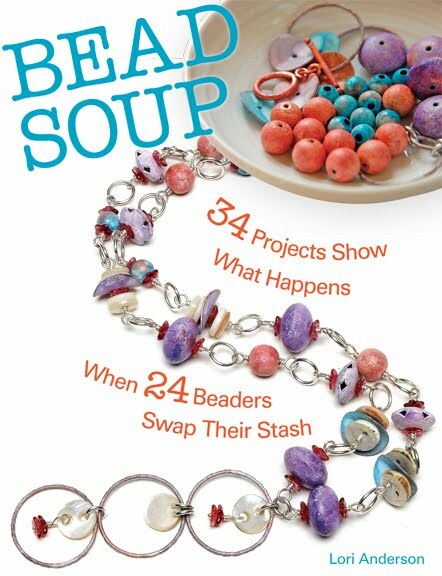 A friend recently told me how much her friends like the pieces she has bought from me and wondered how we could get some jewelry for them to see. This sounds like just the perfect thing! Thanks! You are inspirational as always! this is a great idea! One of my friends used to take a box full of my painted flowerpots to her office a few weeks before Mother's Day -- it was a friendly crowd in need of gifts. I made out alright with her as my "sales rep."
Great idea, Lori – and you could do this with other small jewellery pieces or handmade trinkets that fit in a basket. Plus, if you did this at a doctor’s office or dental clinic, it would take the ladies’ minds off what they came in to get treated for!